Location: The centre-piece in the gardens at Margam Park. The abbey remains are immediately to the NE, with the broadwalk leading up to Margam Castle further E.
Designed in 1786 by the architect Anthony Keck, of Kings Stanley, Gloucestershire, for Thomas Mansel Talbot. 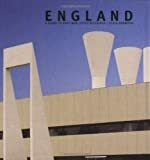 Built at a cost of over £1,400 and complete by 1793. Keck had built Penrice Castle for Talbot, and his chief mason, William Gubbings, was also employed at Margam. The orangery, the longest in Britain, was of Pyle stone but Sutton stone from the former mansion was used for the rear. Specialist craftsmen were brought in, including James Millward, plasterer, but most of the labour was provided by the estate. The ornate end pavilions were for housing antiquities which Talbot had brought back from Italy. Statues were displayed in the E pavilion (subsequently moved to Margam Castle), whilst the W pavilion was the 'library pavilion'. The orangery was heated by coal fires with chimneys set into the back wall. From May to October, the plants were taken out of the high rear entrance and placed around the fountain in the garden. It was not the first orangery at Margam; a collection of citrus trees was present by 1711 and a catalogue was produced in 1727. In 1842, Samuel Lewis recorded 110 orange trees in the orangery. Restoration work in 1975-7 included replacement of the roof structure and the windows. Long single storey building in classical style with 27-window front and flanking 1-window pavilions. Constructed of ashlar with renewed slate roofs partly hidden by cornice, attic above central bays with slate hung sides, impost band and plinth. The front is rusticated and vermiculated between impost and sill level. Tall round-headed window openings with vermiculated voussoirs and high plain keystones. Replaced multi-pane windows with radial glazing beneath heads. Crowning Doric cornice with metope and trigliph frieze surmounted by urns with swags. The central 5 bays are stepped forward with square stone bases in front of the angles (perhaps for statues) and the inner 3 bays are advanced further. Flat-headed attic frieze enriched with 7 bucrania and swags, surmounted by urns. The flanking pavilions are slightly advanced with triangular pediments surmounted by acroteria and urns. Venetian windows within blind recessed arches, containing sashes. Impost band with frieze of Vitruvian scrolls supported on round columns flanking inner windows. The metope and trigliph frieze continues from the main range below the pediment, and around the sides of the pavilions. The scrolled impost band also continues round the sides. Each side has a central Venetian doorway. That to the E contains half-lit double doors, whilst that to the W has a single half-lit door. Both are approached by stone steps bounded by ashlar walls with moulded copings. The rear is of rubble stone with quoins and plinth. Towards the centre is a wide full height entrance with panelled door within a gabled porch, partly rebuilt with weather-boarded gable. Flanking stone stacks. Late C20 lean-tos to L and R with shuttered doors, vents and stacks. That to R has a catslide roof with skylights and continues to the W pavilion. Shorter lean-tos to L. The rear of the pavilions are also of rubble masonry with quoins and plinth, and gables. The impost band continues round from the sides but is undecorated. The main range has been converted for new uses. A glass screen divides a banqueting hall to the W which includes the large rear doorway and further doors to the kitchen areas, from an exhibition area to the E which retains a stone-paved floor. Between every 4 windows is a narrow circular shaft with 2 rings and a fluted capital. The pavilions are decorated in the style of Adam, and the W pavilion is more ornate. Access to the main range from each pavilion is through a Venetian doorway which matches the exterior doorways. Each has a half-lit door and side lights with sashes, and panelled reveals which fold out to form shutters. The E pavilion forms the current entrance. The side lights are flanked by pilasters which support dentilled lintels. The pilasters are supported on pedestals which continue round the room as a low dado. To the N is a moulded stone fireplace in classical style. It has a flat cornice with dentils, in the centre of which is a small motif with an urn in relief, and it contains a cast iron fireplace with fluted decoration. The room has a moulded dentilled ceiling cornice. The W pavilion is lined in Adam-style plasterwork in the form of orders, which incorporate the Venetian doors and window. (The blind arches were formerly recessed to shelve books.) The arches, decorated with anthemion, spring from lintels supported on pilasters with pedestals below. The lintels are dentilled and the pilasters have recessed panels and fluted capitals. Blind arches flank the doors to the E and W. Under each one is a moulded fan above a frieze of swags which continues from the lintels. The N and S walls have a single large arch, within which is a fireplace and window, respectively. Moulded ceiling cornice with a frieze of griffins, drapes and lamps. Adam-style coloured marble fireplace; pink and green marble with flat cornice containing a cast iron fireplace with scrolled and foliate decoration. Listed grade I as one of the finest classical buildings in Wales, and the longest orangery in Britain. Group value with surrounding buildings in Margam Park. Immediately in front of and adjoining Margam Orangery. Located immediately outside and to the R of the entrance gates to St Mary's Abbey Church and churchyard. Located along the N boundary of the gardens, N of the Orangery and SE of the kitchen gardens. The facade faces W into the park, whilst the cottage is outside the park boundary. Located at the end of a short lane which runs NE off the A48. The Stones Museum is within the churchyard. The S doorway faces into Margam Park. Enclosure walls to a large, roughly rectangular churchyard to the N of the abbey church. It projects round to the W and incorporates the entrance gates. Located to the S of the Chapter House and E of Margam Orangery. 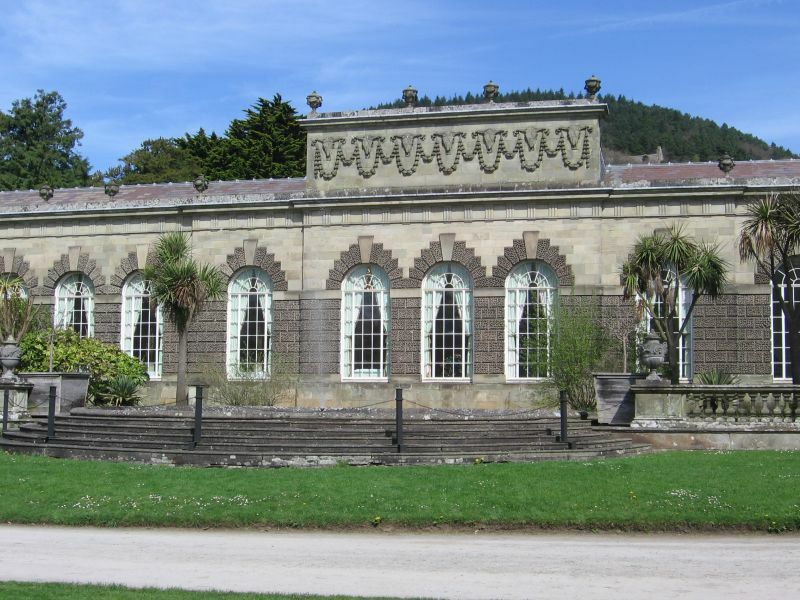 Located in a central position in the gardens at Margam Park, to the NE of the orangery. Located on the S side of the lane which leads off the A48 to St Mary's Abbey Church. The almshouses are opposite the churchyard entrance.